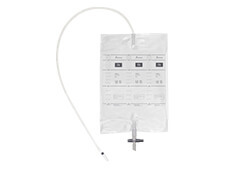 A wide range of leg bags and 2 litre drainage bags providing robust and versatile urine drainage solutions for both hospital and home use. Flexicare’s standard leg bag is contoured offering an improved and comfortable fit. Flexicare’s Discreet leg bags are a neutral colour which makes them less conspicuous under clothing. 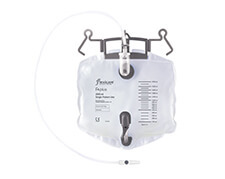 Robust and versatile 2 litre drainable bag for both hospital and community environments. 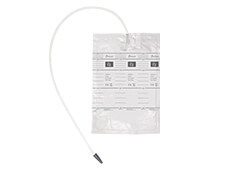 Primarily used with patients who have undergone surgery it allows you to observe urine drainage. Simple and easy to use, assuring confidence to clinicians and comfort for users. Designed with a simple twist-snap tap to enable the urine to be directed and emptied easily. 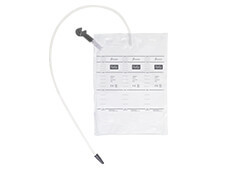 Sterile closed collection system for accurate urine measurements.